Sony Pictures Entertainment has released an official trailer for a new entry in the demonic possession horror sub-genre, titled The Possession of Hannah Grace, which perviously went by the title Cadaver. 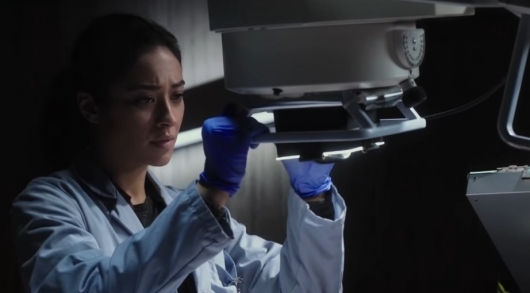 The movie stars Shay Mitchell as a woman working in the morgue when a body comes in which brings with it some terrifying surprises for her. It’s looks like a bigger budget studio version of 2016’s The Autopsy of Jane Doe, only the “Jane Doe” in this case is a girl with a name who died while an exorcism was being performed on her. Continue below for a brief synopsis for The Possession of Hannah Grace and to check out the trailer along with a poster.